Despite the overgrowth of procedures done by VATS, there are still needs for thoracotomy. Post-thoracotomy pain plays an important role in many post-operative morbidities. 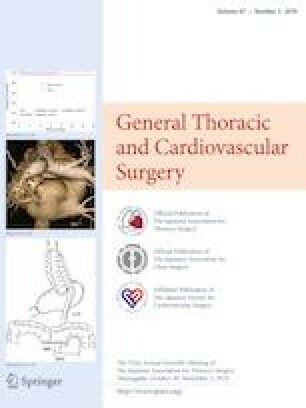 Surgeons should make efforts to evolve new techniques to reduce post-thoracotomy pain with its associated morbidities. This trial aimed to study the impact of combining lack of rib retraction with protection of both intercostal nerves on post-operative pain. This was a prospective study of 57 patients who had Integrated thoracotomy (I group) which consists of modified French window with Double-Edge closure. The results of I group were compared to our previous study that contained two groups 60 patients each, double edge (DE group) in which standard thoracotomy was closed using double-edge technique and (PC group) in which pericostal sutures was used for closure of thoracotomy. Outcomes assessed were operative time, time to ambulation, doses of analgesics injected in the epidural catheter, post-operative complications, chest tube drainage, hospital stay, and pain score and use of analgesics during the first post-operative year. All groups had similar demographics, operative time, and incisions length, but in I group, there were significantly a smaller number of lobectomies and pneumonectomies. Patients in I group had significantly lower time to ambulation, epidural doses and post-operative pain score throughout the first week. Patients in the (I group) had a significantly lower pain score throughout the first 9 months post-operatively. Up to 6 months post-operatively, there was significantly less use of analgesics among the I group. The combination of retractor-free exposures and neurovascular exclusion sutures for thoracotomy is safe and effective in decreasing post-thoracotomy pain and use of analgesics.